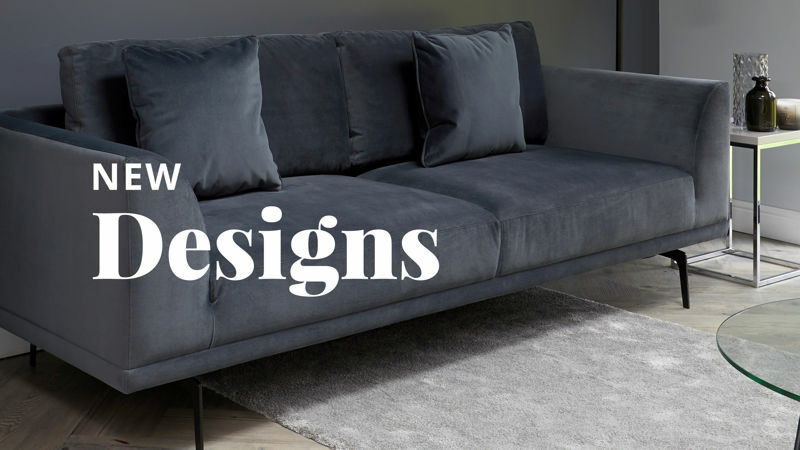 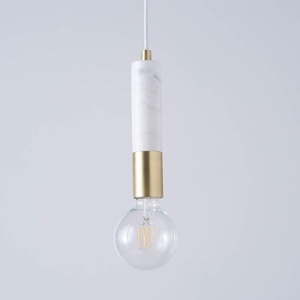 Sometimes, the simplest of designs can be all you need to give your home a fresh new look. 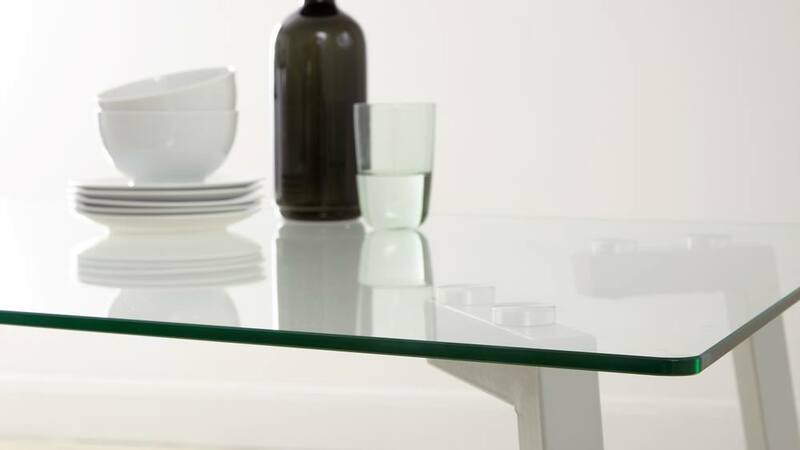 The Profile 4-6 Seater Glass Dining Table is a minimalist's dream, with its clean lines and simple shape. 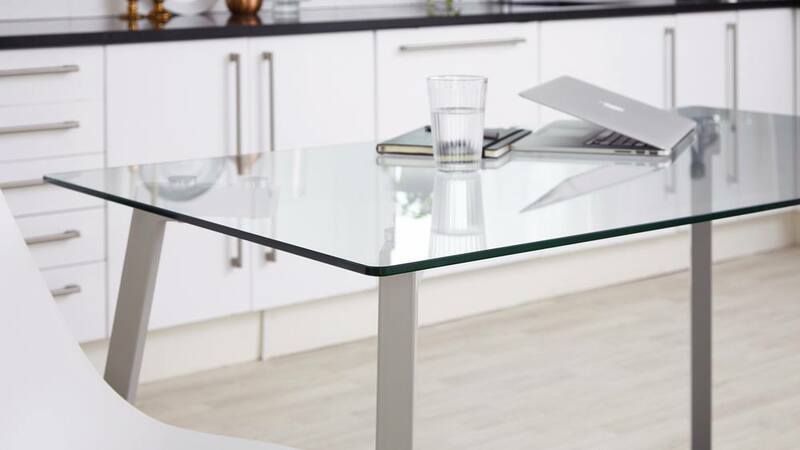 The clear glass table top will keep your space looking light and fresh while the satin grey table legs add a welcome hint of colour. 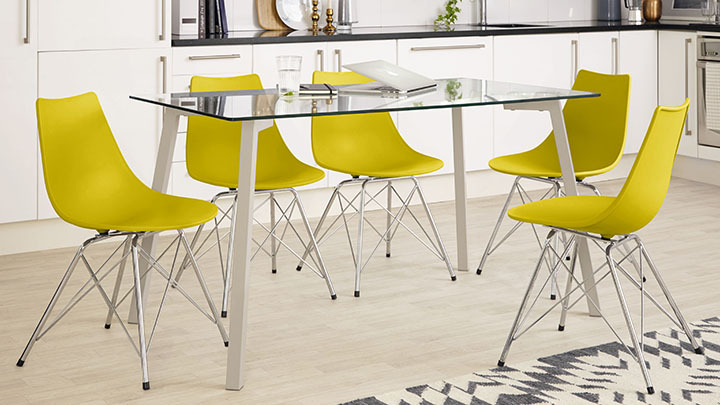 It's enough to give your space a new, modern look while keeping it clean and bright. 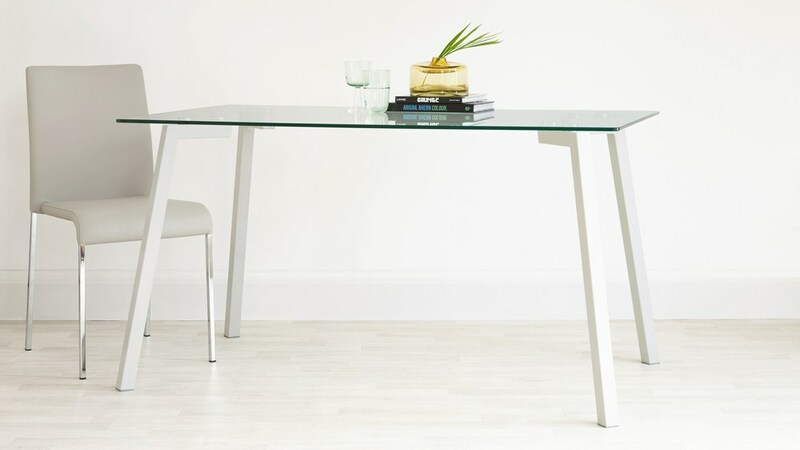 The Profile dining table measures 75cm in height, 80cm in width and 140cm in length. 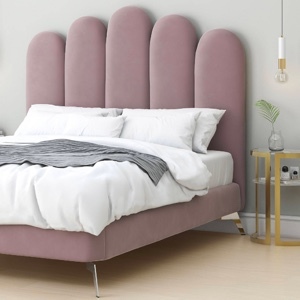 This sizing means it's between a 4 and a 6 seater. 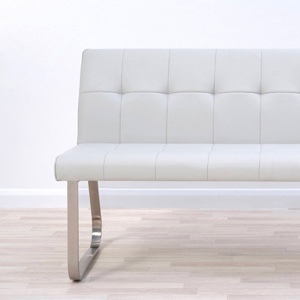 You could generously fit 4 or you could easily add one seat on either end and comfortably seat 6. 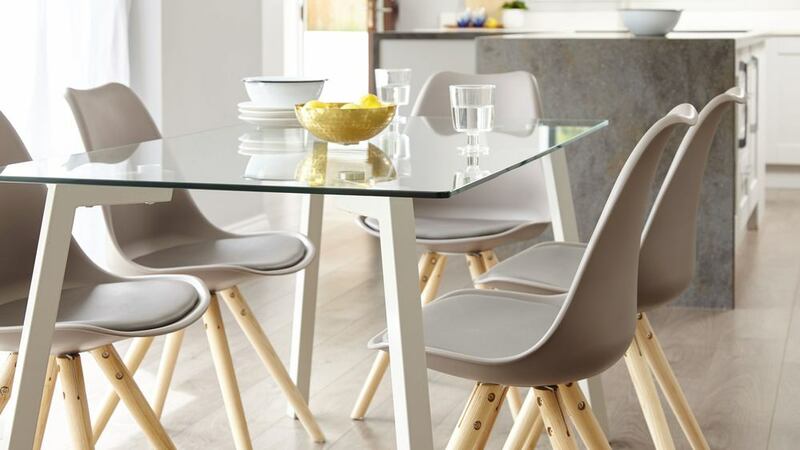 This makes seating incredibly practical and versatile. 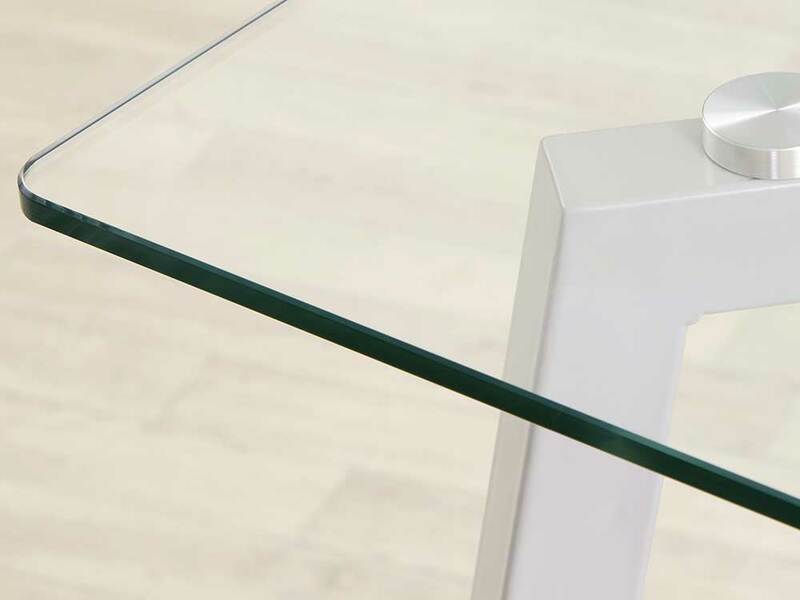 You needn't worry about the table being fragile as it is made from tempered glass. 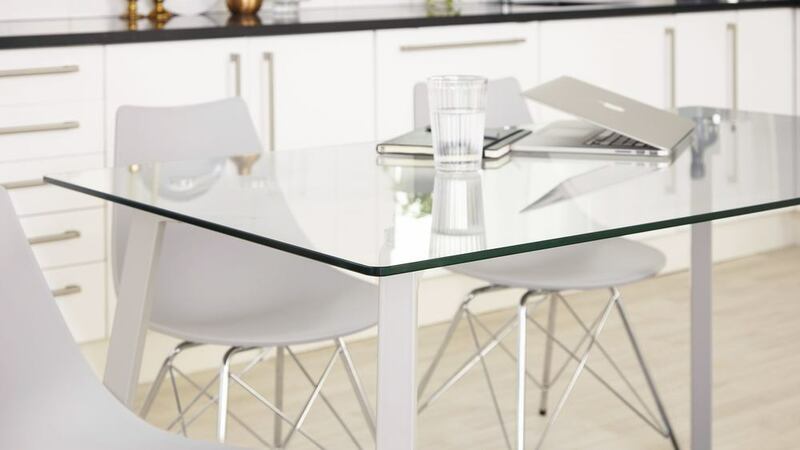 Tempered glass is one of the strongest surface materials you can get for the home and all of our glass tables are tested to British Standards, so the Profile dining table is strong, safe and very durable. 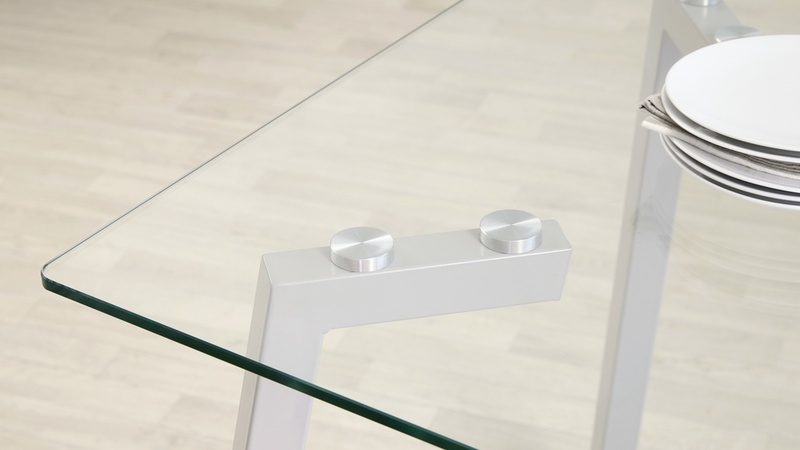 Because the glass is transparent, the Profile table won't take up a lot of visual space in your interior. 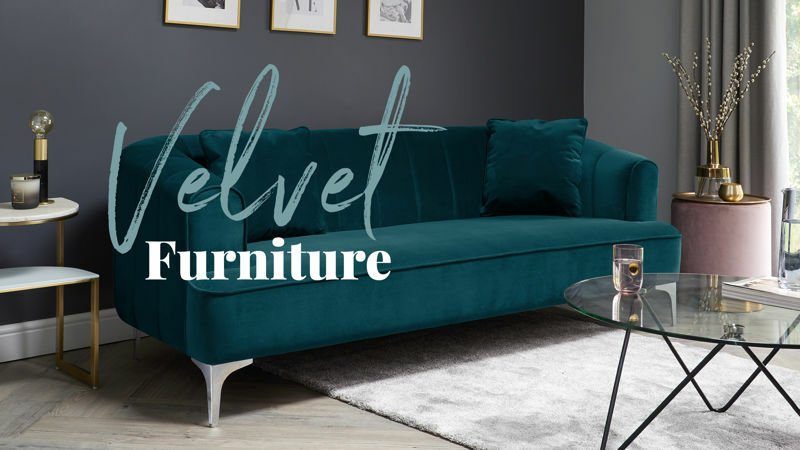 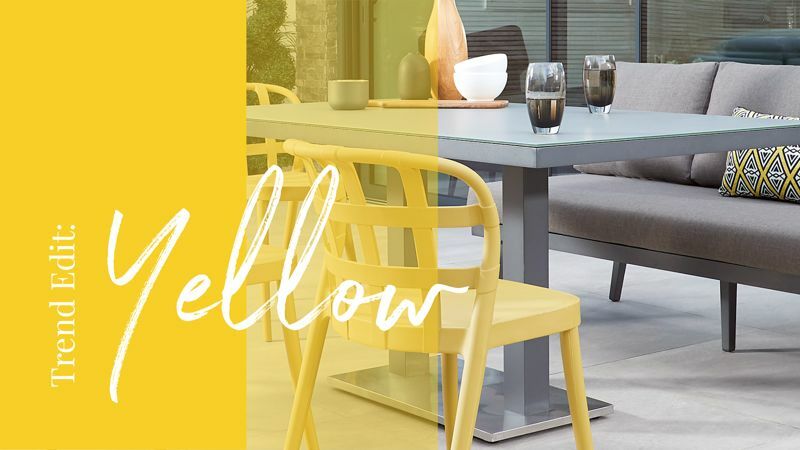 This is a great opportunity to add a splash of colour with your choice of chairs while also keeping your room looking fresh and spacious. 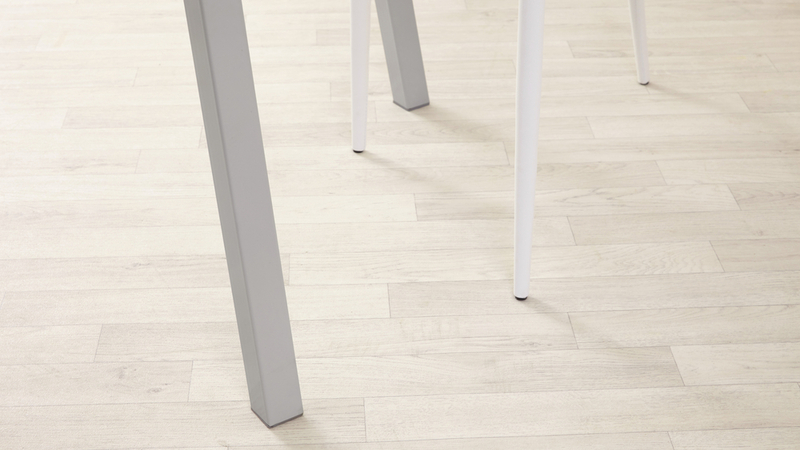 The tables corners have a soft rounded edge. 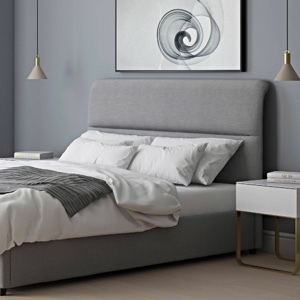 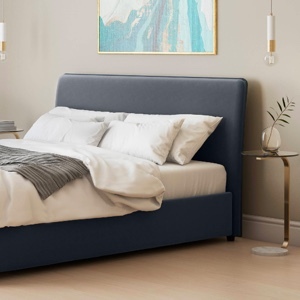 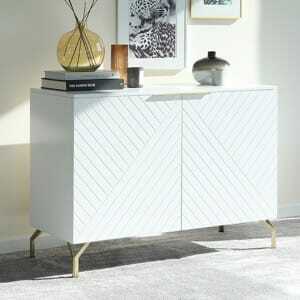 This helps to soften the overall look but also makes the Profile table that bit safer around little ones as there are no sharp corners to walk into. 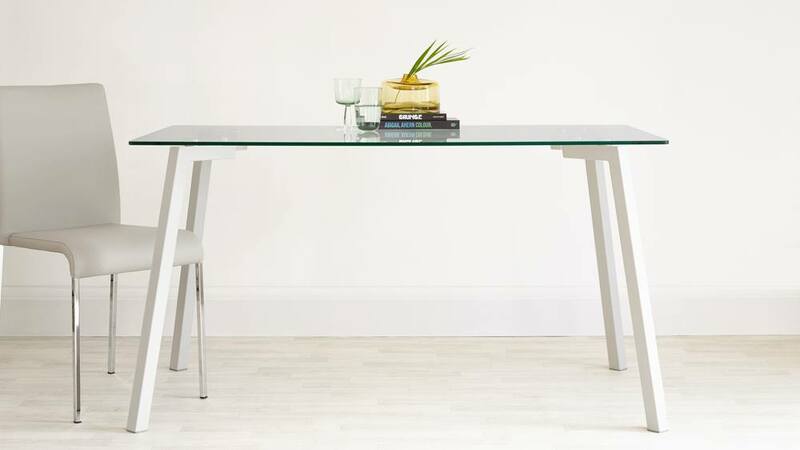 The legs of this modern dining table are slim and are finished in semi-matt grey. 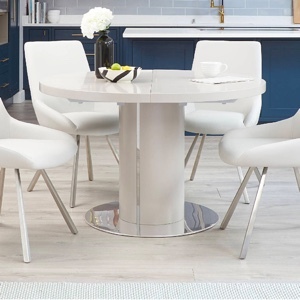 This is a super neutral tone and that ties in well with lots of kitchen and dining spaces making styling this table in your existing interior really easy. 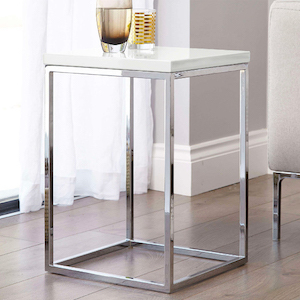 The satin grey legs are cleverly facetted and fix to the strong tempered glass top, tucking neatly underneath. 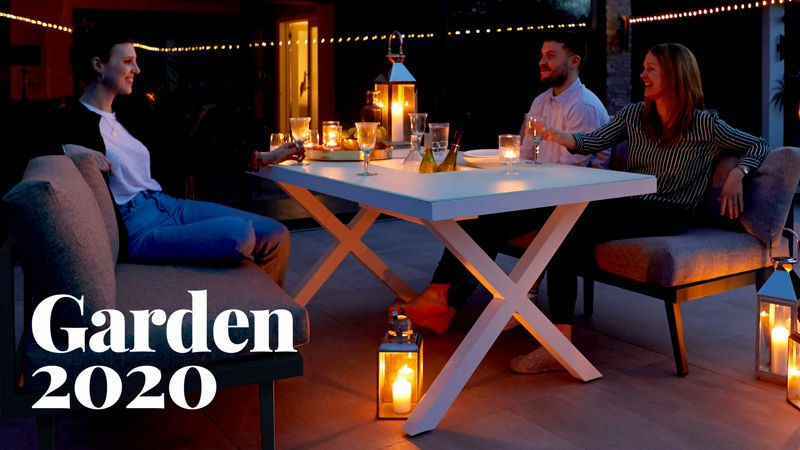 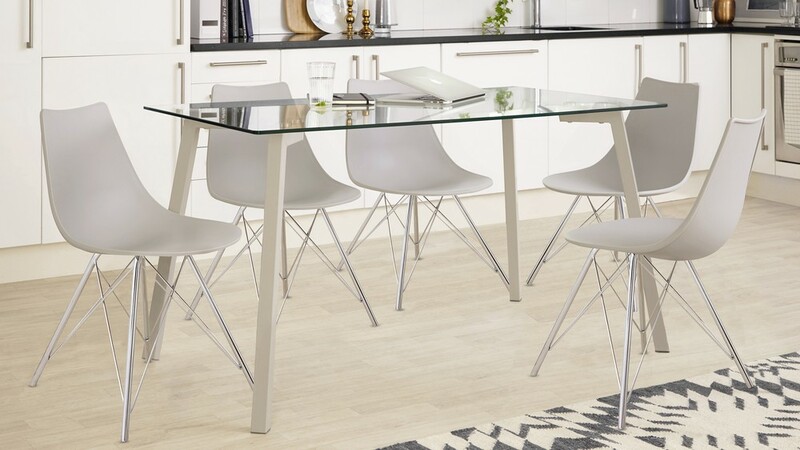 It's worth noting that because the legs are thin and tucked under the table, they are less intrusive so make the table look lighter as well as creating a good flow around the table. 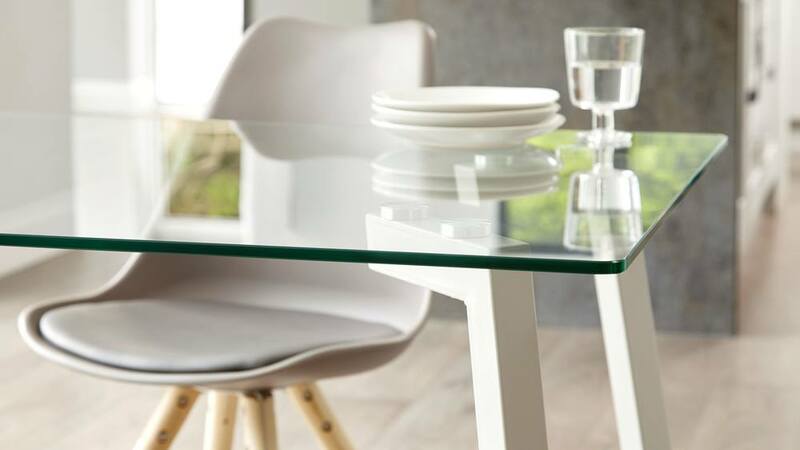 The Profile 4-6 Seater Glass Dining Table combines style and simplicity to provide you with a fresh and modern looking dining table. 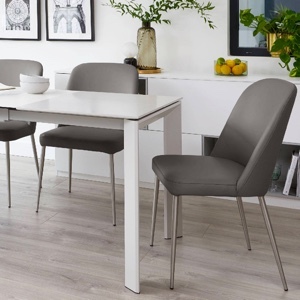 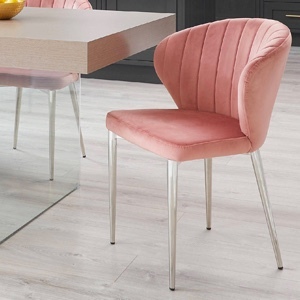 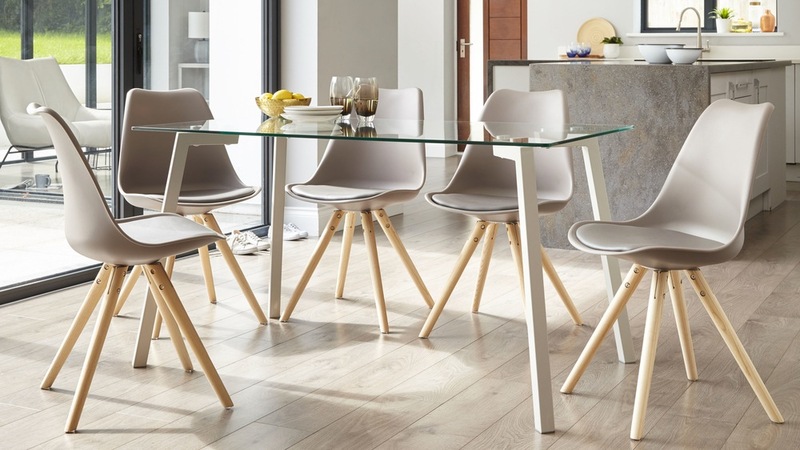 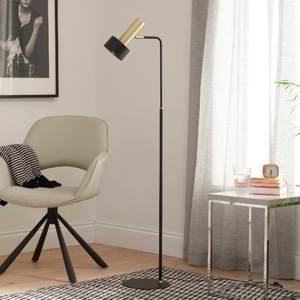 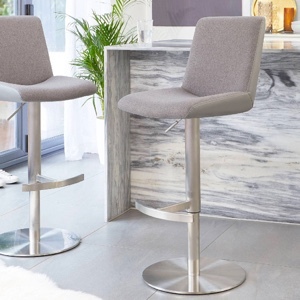 The Stylo Dining Chair looks great alongside the grey legs and glass if you're after a sleek seat to match. 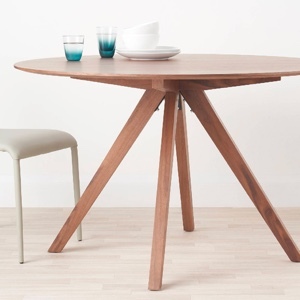 The beauty of this table is all in its simplicity. 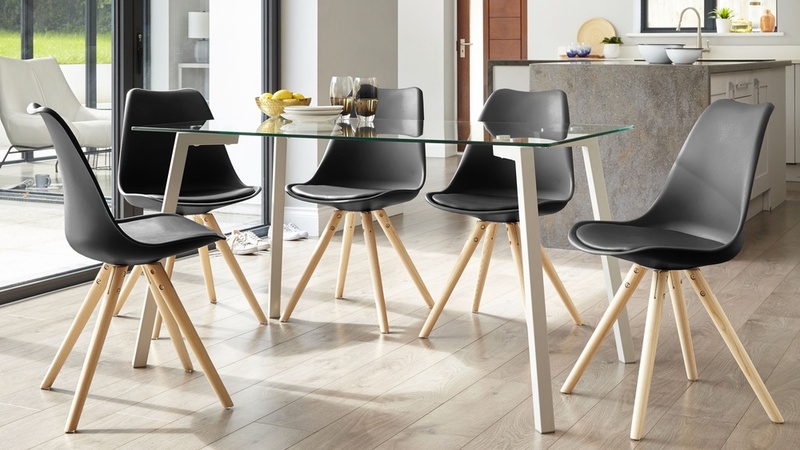 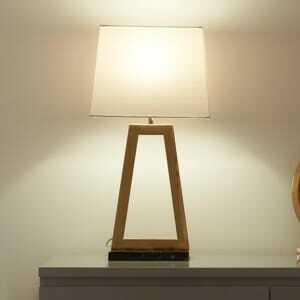 The angled legs have been kept simple and slim, supporting the table top but letting the space around the table shine. 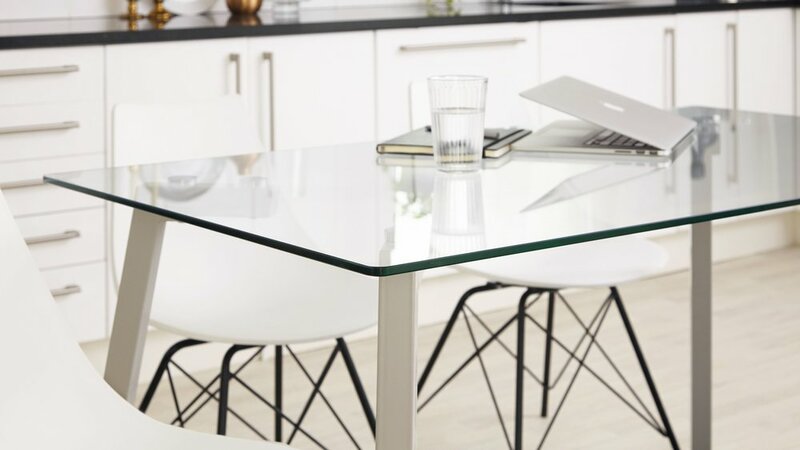 The slim legs and glass top give this table a lightness which is ideal for when you want to show off your interior or if you're going for a splash of colour in your chairs.